Father's Day is just around the corner. This is the time we can all give back even in the simplest way to the person who gave life to us aside from our mom. 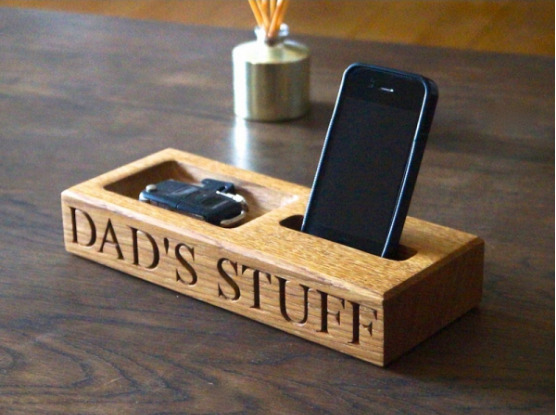 Nowadays, finding a perfect gift for Father's Day is as easy as just a few clicks online. A girlfriend, boyfriend or bestfriend can be overly demanding of what they want to receive but our father who loves us unconditionally will accept anything from his kids. Usually, it is not the gift but it is the thought that counts. I think my genes for having an insatiable love for travel came from my late dad. Just that he didn't lived enough to see me soar like an eagle and enjoying every pint of happiness when I am travelling. We all have a dad who loves to stash all pennies, cents and coins together away from his wallet. Maybe because, as young kids, we always ask money to buy some candies or ice cream so he wants to make everything easy for us. Being a workaholic and one who should always be easily reachable via mobile phone, our dad sometimes are forgetful. This wooden personalised phone and coin tray which is hand-crafted Prime A Grade English Oak and Amish American Black Walnut could save him from much more stress. An organized mind makes a person productive thus gives him much more room to spend bonding moments with his loved ones. I have yet to meet a dad who doesn't love coffee! 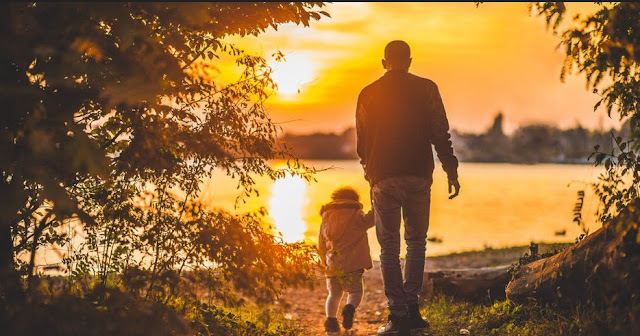 Most dads, wake up early in the morning to travel for work then more often than not grab a cup of coffee. Having a cafetiere or an electric coffee pot would surely help to start his day right. 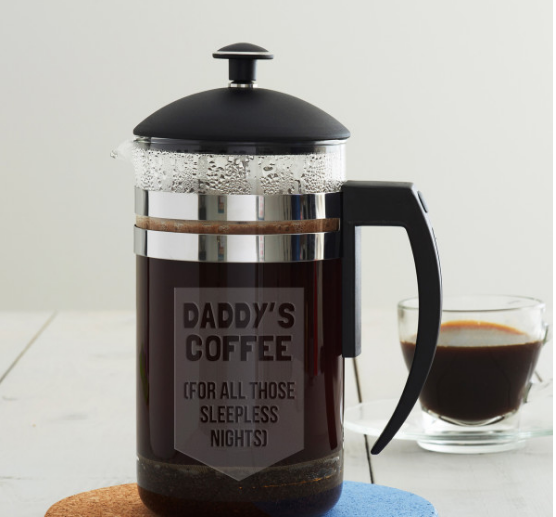 When you order this as a gift, you can personalise the cafetiere with your own words over five lines. It features a heat resistant borosilicate glass beaker inside a chrome-plated steel frame with a black polycarbonate handle. Each coffee pot is hand etched by a team from Liverpool. Sure, mobile phones always update us the correct time from whatever time zones we belong but there's something about a watch that keeps us wearing it. Dads love wearing a watch. I bet it is one of all-time favorite gifts that a dad would be happy to have one. 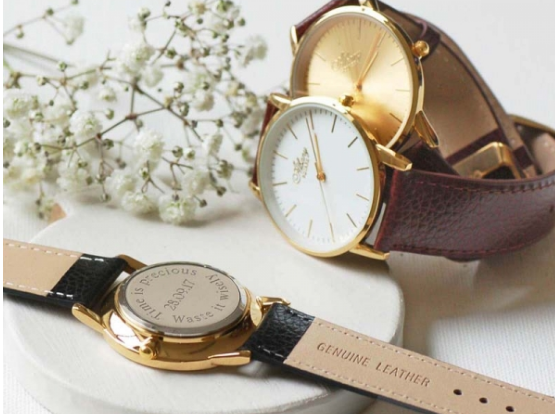 This one is a personalized watch with a classic strap and simple face, sits close to the wrist making it chic and comfortable. The watch is presented with a black velvet cushion in an exclusive Highland gift box and comes with a guarantee. For us young backpackers, we wouldn't care to carry a heavy backpack bag while we travel. For our dad have carried us since birth til we grow up and for all the hardwork he has done to feed us, I would recommend buying him a luggage when he is out there. It will bring him much more comfort he deserves. This leather luggage on wheels would allow him to stroll through the airport in breeze! With carry handles as well as wheels, he can hold this stunning item or pull it along. 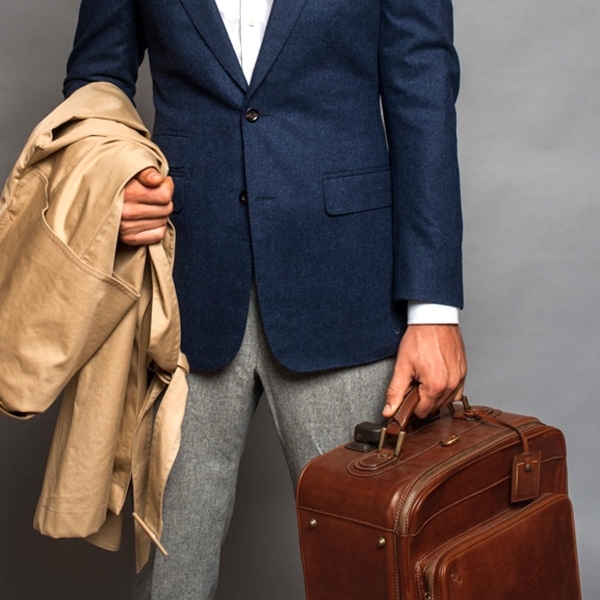 Made to withstand regular travelling, this luxury case has been handcrafted from full grain Italian leather that will last many years. Millenials like to store their travel photos on Google drive, Instagram and Facebook. Our dads who were born in between the dawn of social media and the dusk of everything printed, are still old - school at heart. 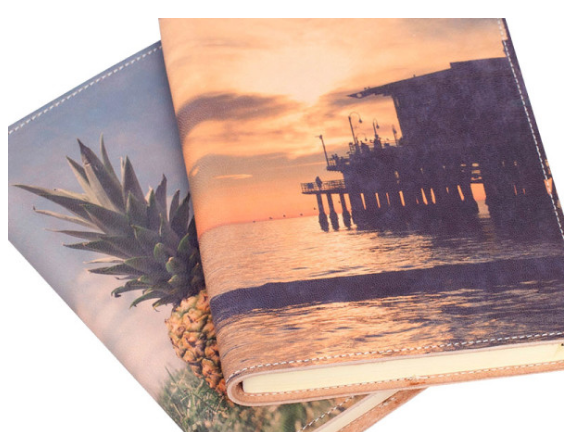 This personalized leather journal is refillable and can be printed with any photos of your family either on vacation or any milestone achieved like graduation or baptism. Packaged in a gift box, this book makes a really great gift.As a gift, your chosen image is wraped around the cover of the journal and will be cropped to fit. There you go, I hope this list of gift items for Father's Day was able to help you find the right one. Most of all, please don't forget to greet him and tell him how much you love him. It would be the biggest gift that you can ever give to him. For more choices of gifts, click HERE. Main photo credit link here.